There is an increasing demand for collaborative robots that can work autonomously and adapt to changing production conditions. This requires reliable sensors that detect human presence and can overcome future challenges with the development of collaborative technologies. Learn more about SICK and their approach to safe, collaborative robot systems. Recent years have seen significant advancements in industrial automation applications in the fields of drive systems and object detection, paving the way for a new age of interaction between human and machine. With regard to functional safety and the associated standards (IEC 61508, IEC 62061, and ISO 13849-1/-2, for example) [1, 2, 3, 4], innovations in robotics delivering optimized functions are also facilitating close collaboration between human and machine in the same workspace. Combining human abilities with those of robots in industrial environments creates production solutions that are characterized by better quality, lower costs, improved ergonomics, and faster working cycles, to name but a few examples (keyword Industry 4.0). 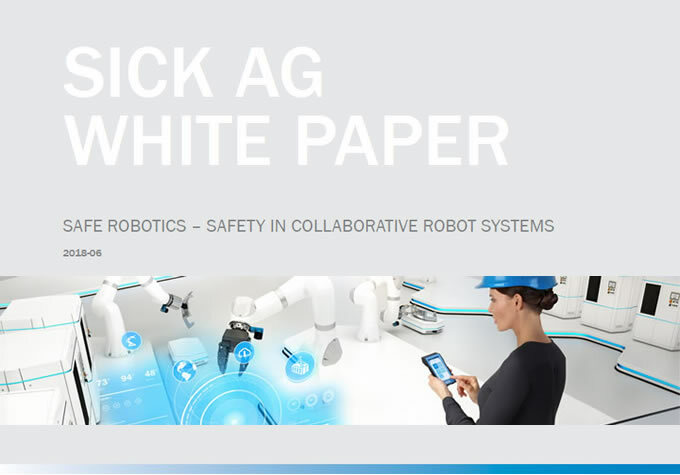 Taking the current status of the international standards that deal with the safety of industrial robots (ISO 10218-1/-2) [5, 6] and specifically the safety of robots for collaborative operation (ISO/TS 15066)  as our starting point, this white paper will explain the guidelines contained in these standards which apply to the development of safe collaborative robot applications. The white paper will also highlight the limits of today's technologies and consider the outlook with regard to requirements and upcoming developments. 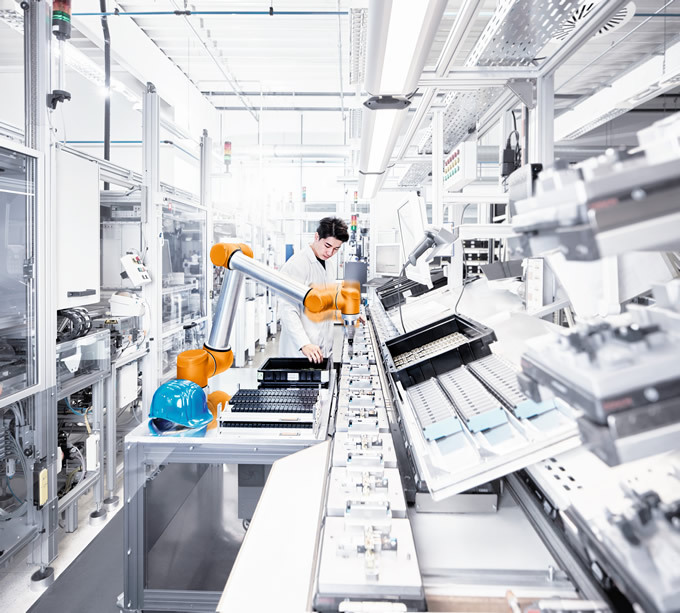 In industrial manufacturing, there is an increasing need for flexible machines that are able to work autonomously and can be adapted to changing production conditions quickly and efficiently. To protect persons against the dangers posed by their speed, movement, and force, robots usually work behind a barrier guards. However, if close interaction between human and machine is required, this effective standard method of physically separating the person at risk from the source of danger cannot be employed. For this reason, alternative methods must be applied to reduce risk. Learn More About Emulate3D Inc. Learn More About Dynatect Manufacturing, Inc.